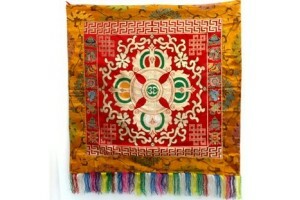 Stunning embroidered Double vajra brocade 85cm squ..
85 cm square . 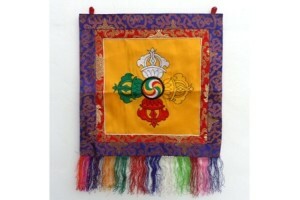 The Double Vajra is the most powerf.. 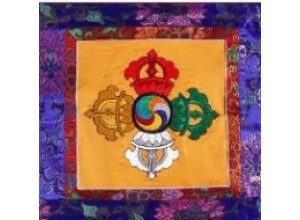 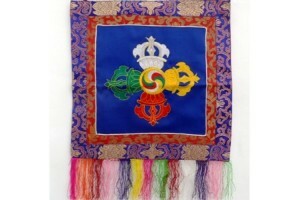 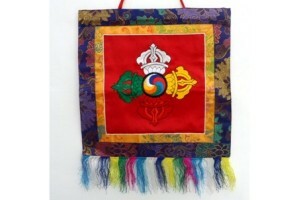 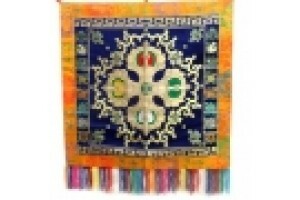 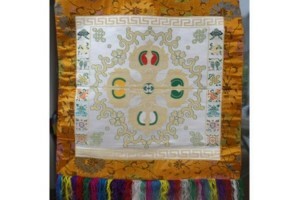 Double Vajra silk brocade, 85cm square .The Double.. 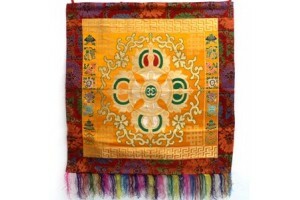 Double Vajra, 85cm square .The Double Vajra is the..
Embroidered double vajra wall hanging with blue ba..
Embroidered double vajra wall hanging with gold ba..
Embroidered double vajra wall hanging with red bac..